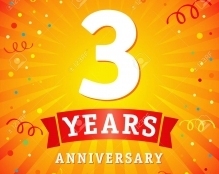 IY LEGAL recently celebrated its 3 year anniversary as a Legal Services firm. We are extremely grateful to all of our clients for their loyal support during that time and we are very pleased that our ‘low cost, high quality’ offering has gone from strength to strength. We remain busy in all our core areas: Commodities & International Trade; Energy/Offshore; Fintech; Insurance; and Shipping. In Commodities, we have recently concluded a large and complex cross-border ICC arbitration for a major coal trader involving contract formation, proper law and market price issues and have prepared a new standard Petcoke sale and purchase contract for use among refineries and Petcoke traders – one of the first of its kind. In Energy/Offshore, we have recently assisted a client investing in an oil facility in East Africa and have just been instructed in respect of a new mining exchange (which nicely mixes our energy and commodity expertise). In Fintech, we have worked with 2 separate clients each seeking MTF/OTF status to operate electronic trading venues and offering software solutions within the precious and non-precious metals sector and we are currently advising a leading digital/rewards business on a company acquisition. We have assisted a number of clients with MiFID II implementation issues and processes. In Shipping & Marine Insurance, we are currently representing a shipowner in a LMAA arbitration involving charterparty cancellation issues and we have assisted a well-known ‘roro’ operator with a series of newbuilding contracts with Far East yards, as well as providing regular P&I/FD&D advice and claims handling services to a large pool manager and a P&I brokerage firm. And we have just assisted an Owner involved in a sensitive EU vessel scrappage prosecution. More generally, we are handling claims against: a major UK bank concerning Mastercard services/payments and another High Street bank involving fraudulently intercepted payments by hackers; German liquidators upon the collapse of a significant shipping business; and an Italian state electricity company. In recent months we have assisted a defence contractor with a complicated IP asset sale and two UK construction businesses upon the insolvency of the project’s main contractor; and we have assisted a charter company with ongoing insurance disputes with French underwriters in the aftermath of Hurricane Irma. We currently act for clients in the UK, the Isle of Man, Italy, Switzerland, Bulgaria, Monaco, Columbia, Sweden, the BVIs, Greece, Brazil and Hong Kong. We are pleased to report that our fees remain very competitive; generally, less than 50% of fees typically charged by London law firms, often even less than that. Our ‘fixed fee’ and ‘monthly retainer’ arrangements have proved very popular with clients keen to control/limit their legal spend. We are looking forward to the next 12 months and, again, thank all of our clients, colleagues and friends for their invaluable support!